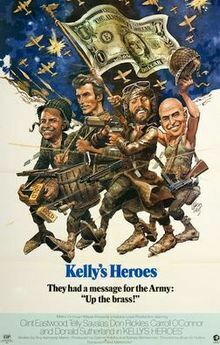 Hello and welcome to this months edition of Waffle On and we chat away about this wonderful caper movie Kelly's Heroes. Its a war film, its a comedy, its a caper and its got Clint Eastwood, Telly Savalas and Donald Sutherland in it. What more do you want? Oh ok we play some clips and of course some music from the film. We are alive and well on social media so please do come along and follow/join us.